Thymosin Beta 4 is a naturally occurring peptide. It is found in high concentrations in blood platelets, wound fluid and other tissues in the body. Tβ4 is not a growth factor; rather, it is a major actin-regulating peptide. Tβ4 has been found to play an important role in protection, regeneration and remodelling of injured or damaged tissues. The gene for Tβ4 has also been found to be one of the first to be upregulated after a wound occurs. 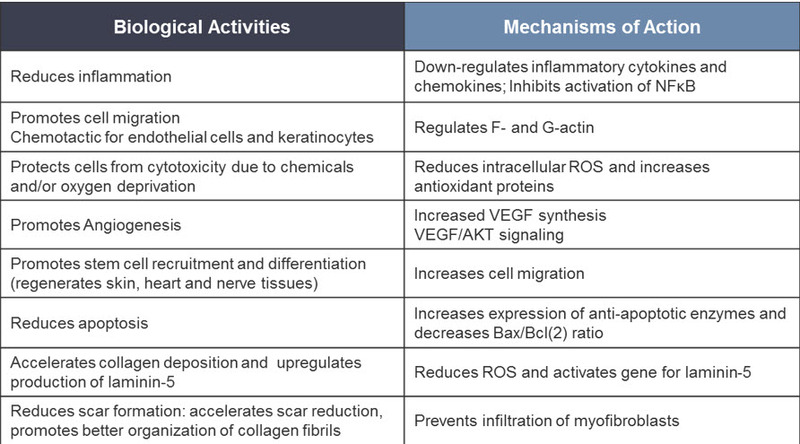 Numerous preclinical studies have indicated multiple biologic activities for Tβ4, specific to different tissues types. ← Previous Previous post: What Are the Functions of Peptides?